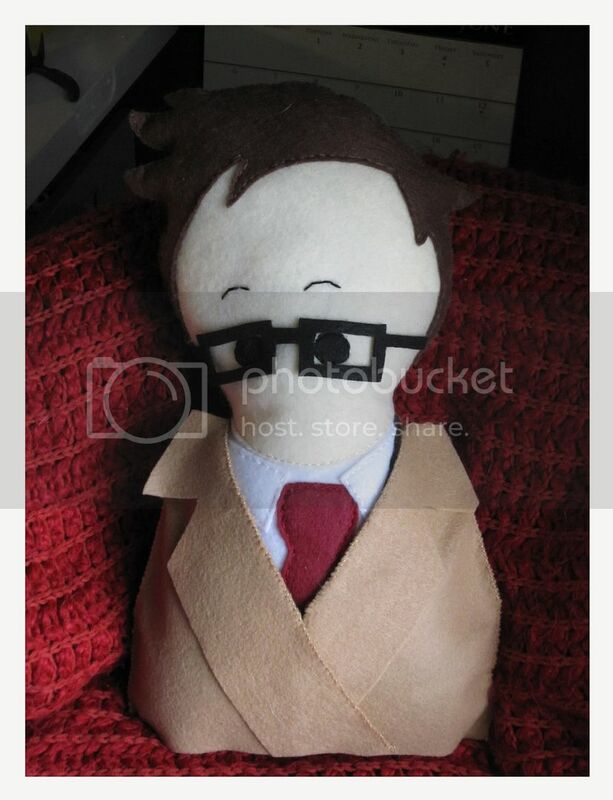 I do a lot of crafting in my spare time, and often take part in organized swaps via craftster.org. I've done a multitude of Twilight swaps, a Star Trek Swap, a Harry Potter Swap and a hoodie swap. Swaps are great for those of us who occasionally get crafter's block; they help me get my creative juices flowing with a prompt. When I checked the swap boards a month or so ago and ran across the Doctor Who swap, I knew I had to sign up right away. I had to wait to post the photos of what I made for my partner until I was sure she'd gotten the package and opened it; I didn't want to spoil the surprise, which is half the fun. 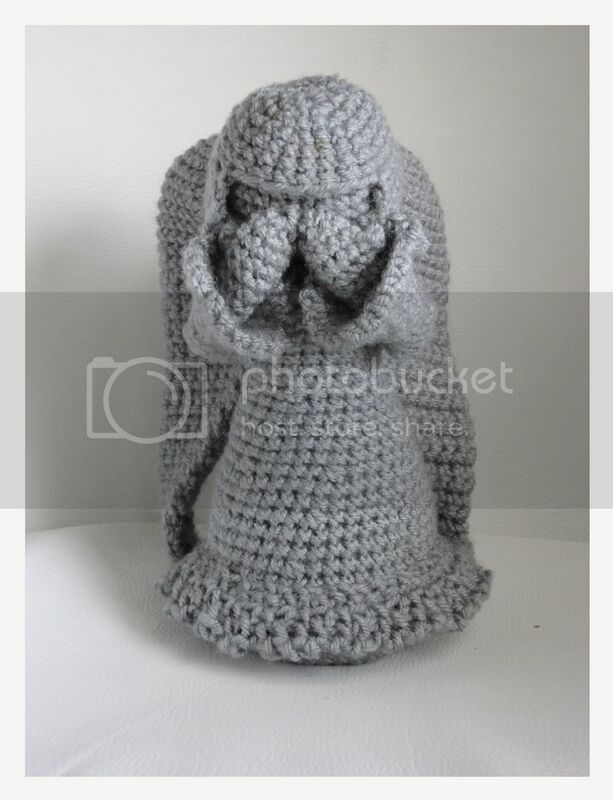 And a crocheted weeping angel. Those who are familiar with the storylines will recognize the angel, one of the creepiest villains/evil entities ever, from the "Don't Blink", "The Time of Angels" and "Flesh and Stone" episodes. For those who are not familiar, these things are scary. They're entities that can only be seen when looked straight at. Otherwise, they shift around in space and time. It's all a bit confusing, but trust me when I say they're straight out terrifying when you think too hard about them. Go here to see everything in more detail. That looks awesome Pants! That crocheted angel looks stunning. 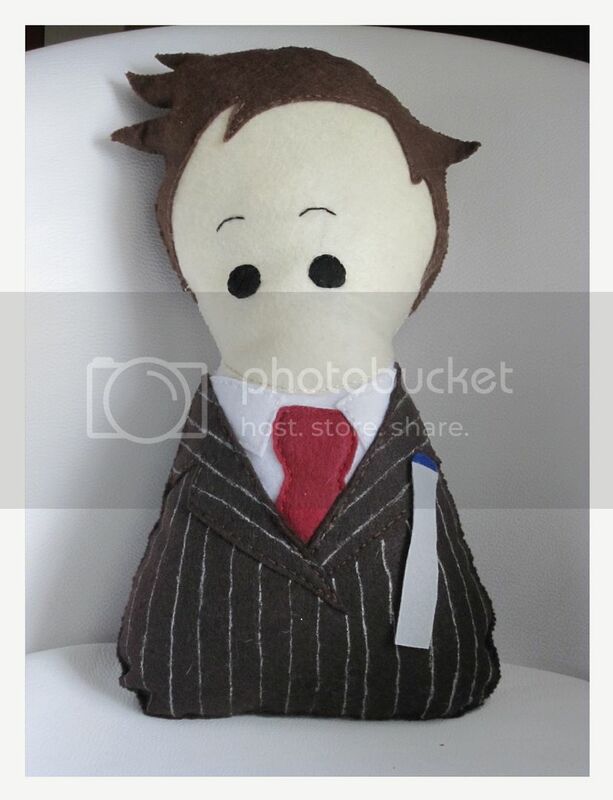 Love the plush doctor. His outfit is magnifico. Thanks ladies! I had a lot of fun working on the projects. OMG THESE ARE AMAZING!!!! 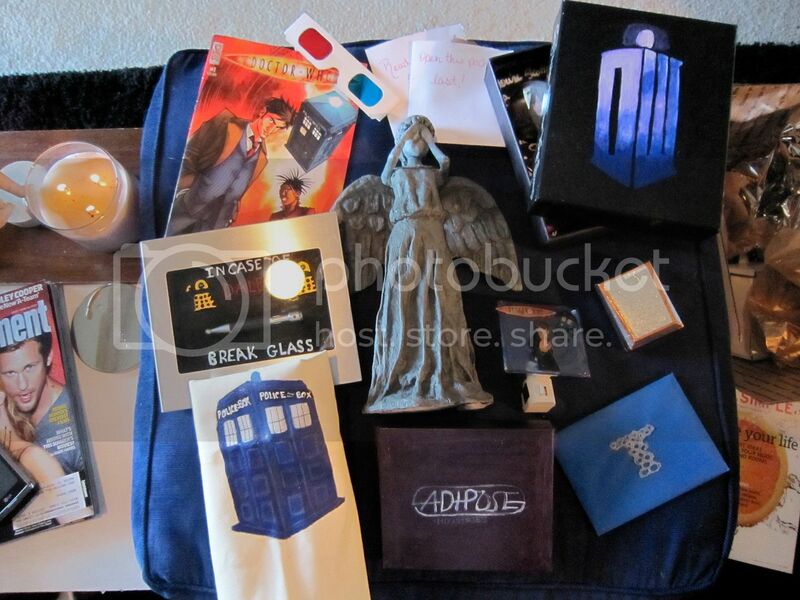 im a massive doctor who nerd. I cant even wait for next sat. i hate season endings! these are great! 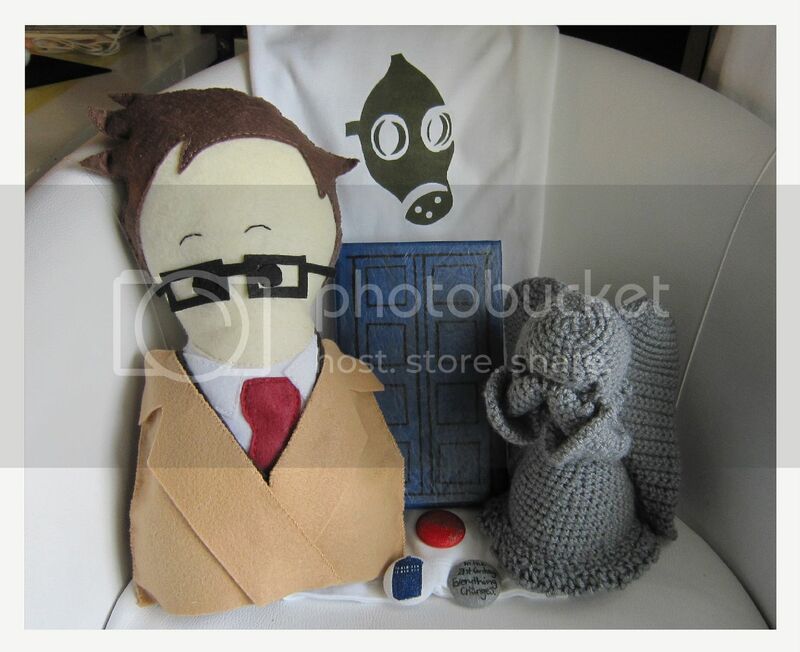 Do you have a pattern for the weeping angel? Hi Kirsten. :) I used this pattern for the angel: http://www.ravelry.com/patterns/library/crochet-angel.